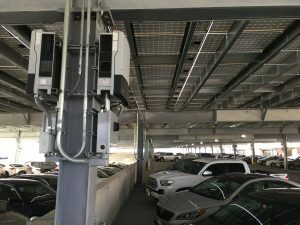 HONOLULU – Just in time for the Thanksgiving holiday, the Hawaii Department of Transportation (HDOT) has completed the installation of 4,260 new solar panels on the 7th floor of the Terminal 1 parking garage at the Daniel K. Inouye International Airport (HNL). 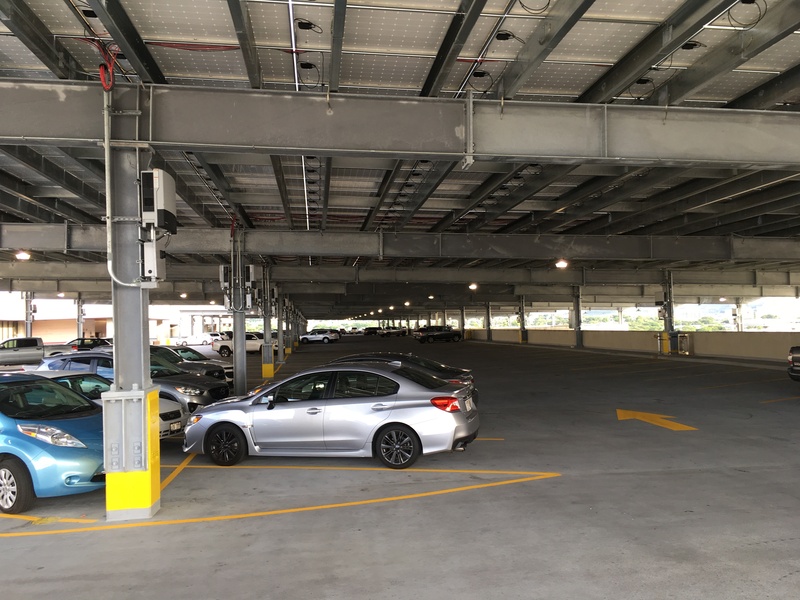 The 346 parking stalls on the 7th floor level have been reopened and are available for public use as of Friday, Nov. 16, 2018. 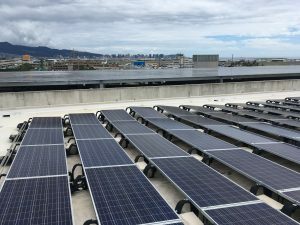 The project aligns with Governor David Ige and the State of Hawaii’s goal to use 100 percent renewable energy by 2045. 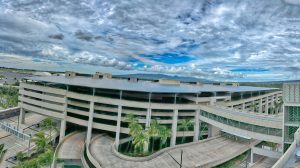 The environmentally friendly improvement will capture solar energy to be used throughout the airport and in conjunction with other conservation measures will reduce the overall electric bill by nearly half. 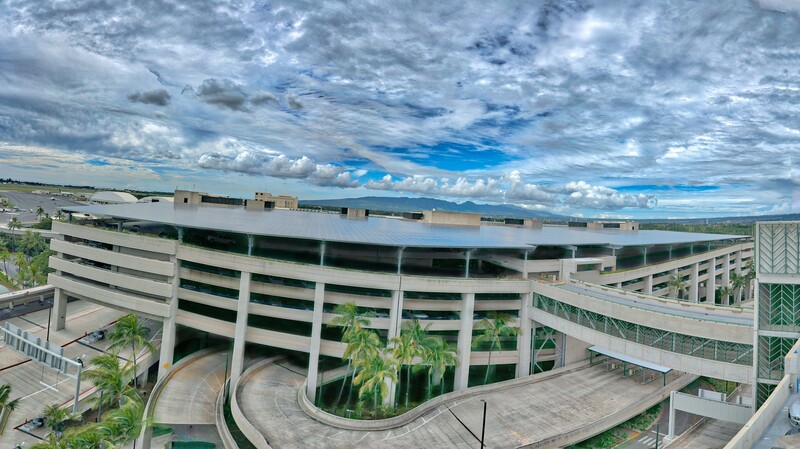 Overall, the contract with Johnson Controls Inc. will generate more than $600 million in guaranteed cost savings over the 20-year life of the contract at Hawaii’s airports, which began in 2014. It is the largest single state Energy Savings Performance Contract in the nation. 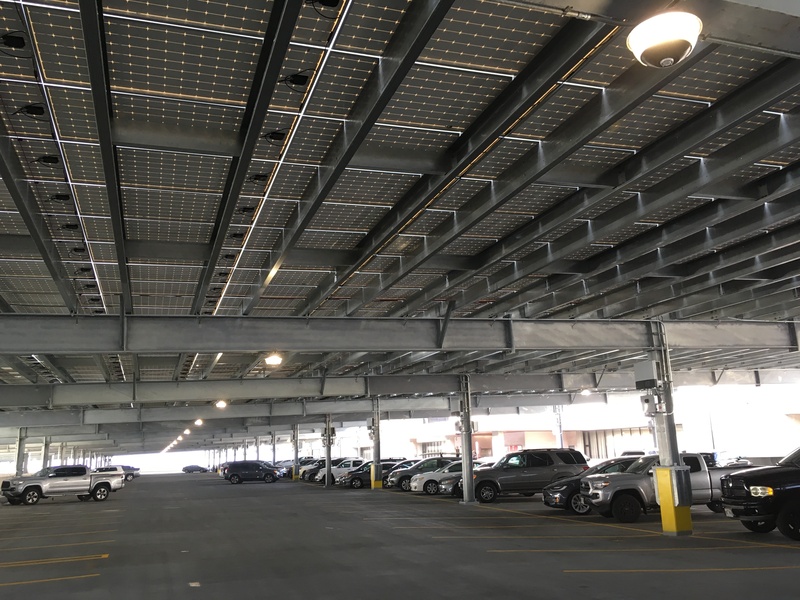 In addition, the new solar canopy will provide shaded parking for vehicles on the 7th floor of the garage. The work began August 20, 2018 and finished on time and on budget in less than three months. 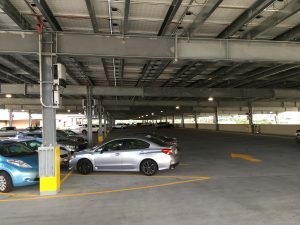 The vehicle and pedestrian bridges from the Terminal 1 parking garage to the International parking garage will remain open for customers to access additional parking stalls. 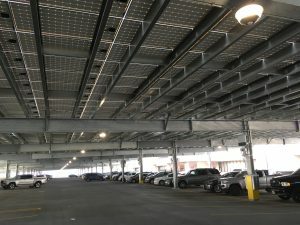 HDOT will continue the energy saving improvements in January 2019 when work is anticipated to begin on the 5th floor level of the Terminal 2 parking garage (formerly the Overseas Terminal) for the installation of another canopy and nearly 3,000 more solar panels, which will create additional sustainable energy and covered parking. Please courtesy “HDOT” or “Hawaii Department of Transportation” if using the photos below. 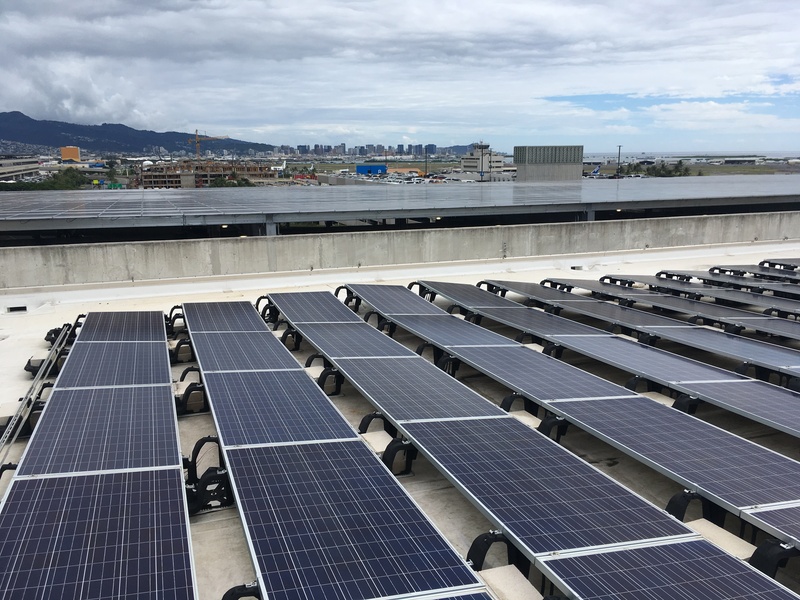 HDOT is focused on sustainability and the solar panel installation project aligns with Governor David Ige and the State of Hawaii’s goal to use 100 percent renewable energy by 2045. More than 4,200 solar panels have been installed on top of the Terminal 1 parking garage at HNL providing sustainable energy and covered parking.